Surfing a Sunfish is simply, fun. Turns out I’ve been all wrong about the speed craze that’s rocked world of sailing (at least my world) these days. In fact I’ve found something that’s way, way better than crazy-fast ocean going trimarans, and badass foiling catamarans, and ludicrously fast America’s Cup boats, and ultra-luxurious superyachts and private planes too. You heard right. 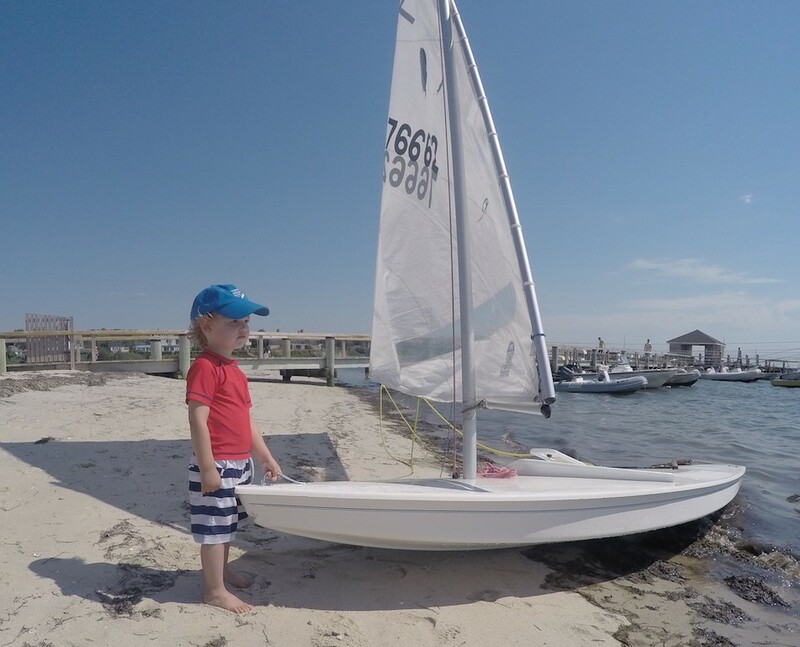 The mighty Sunfish is my jam because, you see, when it comes to pure, pound-for-pound joy of sailing, it’s pretty hard to compete with the surfboard flat hull and triangular rig of a boat that’s been providing freedom, adventure and good clean fun to kids and adults alike for generations. 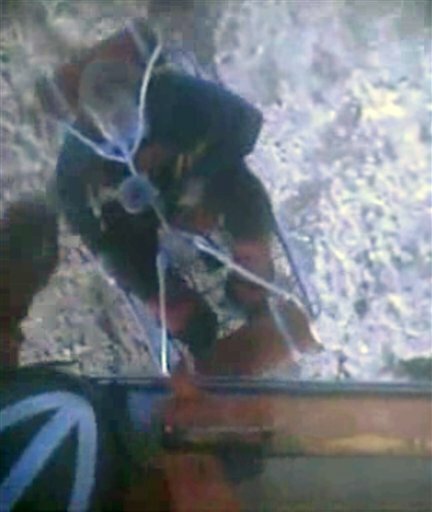 And as you can see in this little video clip I shot with the GoPro jammed into the lapel of my PFD, there’s really nothing better than surfing along at 11 knots on a sunny summer day on the warm green-blue waters of Nantucket Sound. This is just the beginning. We had nine boats on the line last weekend and wait till the teenagers see what fun they’re missing. Well, maybe taking a bullet in an actual race. There’s all sorts of racing action here in our little corner of the Cape. And I have to admit that racing has never really blown my hair back, but I think I’m hooked now. And we’re just getting started. 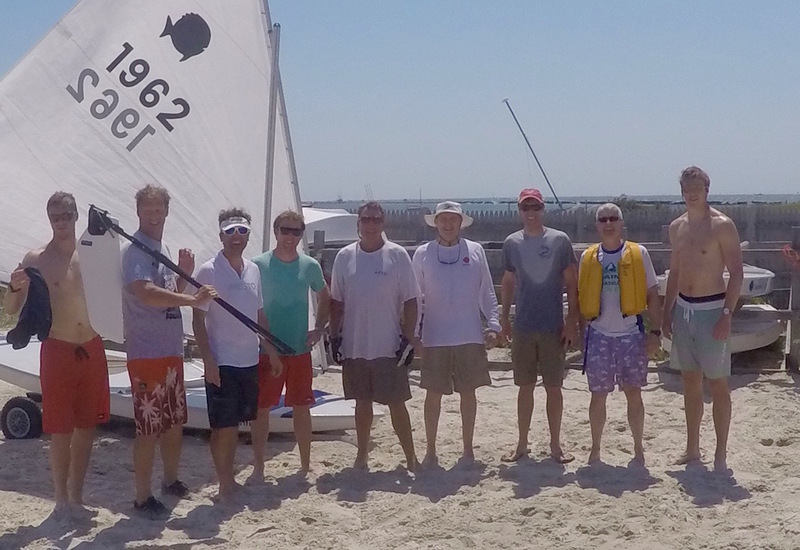 Our little fleet of wannabes (me), the real McCoys (most of the other men and women that have landed on the Sunfish after illustrious racing careers in a variety of racing boats), and guests is only the beginning. I heard just today that a 12-year-old from the neighborhood wants to come out and mix it up with us old guys (who feel like kids) this weekend. And that’s only because all the cool kids are doing it. Wink, wink. Oh and yeah, I’m wearing jeans. I’m breaking in a new pair and thought taking them out for a sail might be a good way to jumpstart the process. It totally is and I also found out that sailing in saltwater wet jeans is strangely comfortable too. Stay tuned for more on the racing–and the jeans. I think I’m on to something. I thoroughly enjoyed competing with you on Saturday in the three Sunfish races. Although you and I didn’t come in 1st or 2nd, I think we tied in the competition to win the party. Have you wiped the smile off of your face yet? You hit all of the sailient,(sic), points in your excellent article. Hard to put into words what we experienced last Saturday but you managed to capture most of it. (How do you put into words running11knots down wind in a Sunfish, jibing around a mark in 17 knot winds, boats all around you screaming right of way, and you’re wearing a brand new pair of blue jeans)? I agree on winning the party! Can’t wait till next saturday.